Exhaust replacement is the specialty of this Ingersoll-Rand® Heavy-Duty Air Cut-Off Tool Now you can cut off mufflers and tail pipes quickly, efficiently, and quietly. The 18,000-RPM motor handles the toughest exhaust replacements, and also cuts sheet metal, nuts and bolts easily. 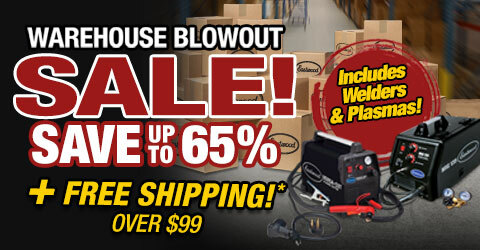 Check out the great price on Eastwood's Complete Metal Cutting Air Tool Kit! The Ingersoll-Rand® Heavy-Duty Air Cut-Off Tool is a must in any shop for exhaust work, of course, but is also handy for restoration projects or other metal fabrication. Use it for cutting patch panels, fabricating steel plate, removing damaged frame sections or simply cutting rusted bolts free. Chrome-plated, 360-degree rotating spark guard. Uses 10 cfm of air at 90 psi, and operates at a maximum of 18,000 rpm. Imported. 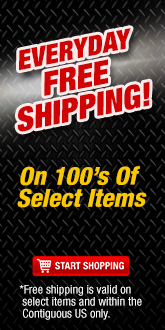 Do not use to cut fuel tanks, oil tanks or any object containing flammable liquid or gasses. Always were eye, head and hand protection when using this tool.